Well, let me be frank here by saying that, back in the 70’s, I could never really remember the appearance of the guy who was about to pick a fight with Luke in the Mos Eisley cantina scene. I vaguely recall he looked ugly, but since only Walrus Man actually got an action figure back in the Kenner days, I mostly forgot about the other guy. 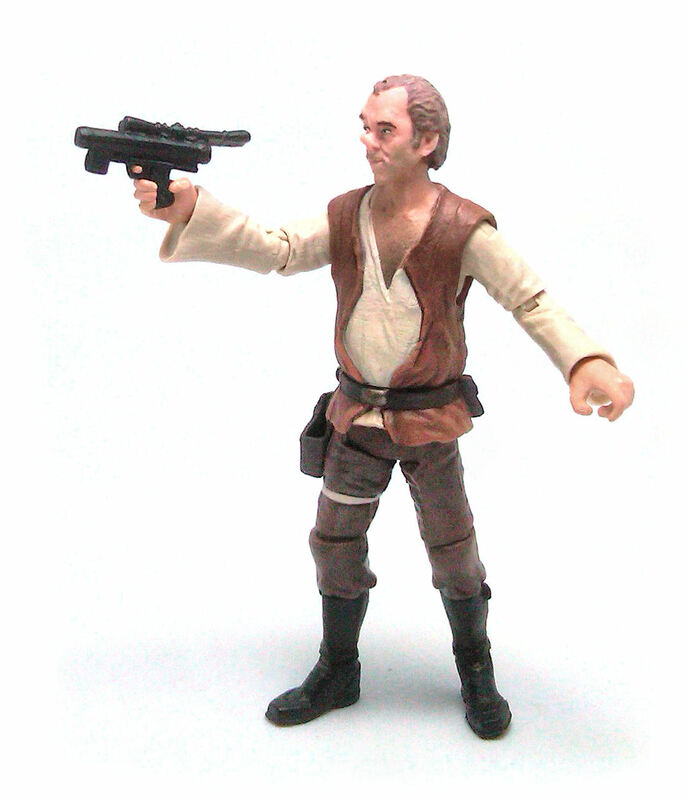 Years later, Lucasfilm authorized Decipher to develop a playing card game and suddenly the ornery freak and several of his pals got both names and back stories, but it would still pass a number of years before we got a proper action figure made of the character. I’m referring, of course to Doctor Evazan, a criminal sentenced to death in twelve different star systems. 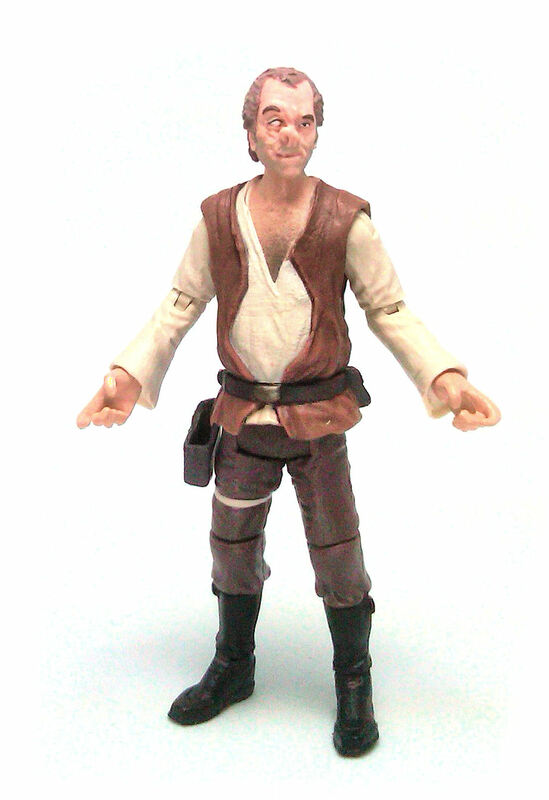 Although I did get the first released figure of the Doctor, I was not really chomping at the bit to get another version in the Star Wars Vintage Collection by Hasbro. The Dr. Evazan action figure was never readily available in 2012 at my usual stores, so when they finally popped up in early 2013, my knee-jerk reaction was getting him and a few other characters from that revised assortment without even checking the paint on them. I did not anticipate that I would actually like this version quite a lot. The costume is not particularly snazzy or elaborate, but it is sculpted quite masterfully to convey a sense of dishevelment that really fits the character. Evazan is clearly not a fitness buff. He has a paunch, and doesn’t look like he ever had better than average muscle mass, but the really striking feature is his ugly mug. It is the kind of ugly that could fuel millions of ugly-jokes, if Evazan wasn’t such a murderous, violent creep. 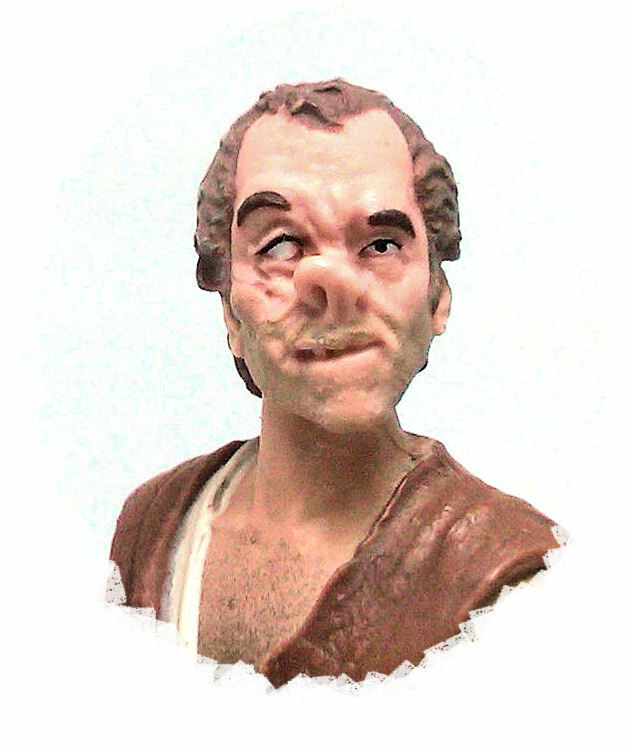 In the movie I never really understood if Evazan was meant to be an alien or a horribly disfigured human, but I think the sculptor captured perfectly all the gruesome detail. 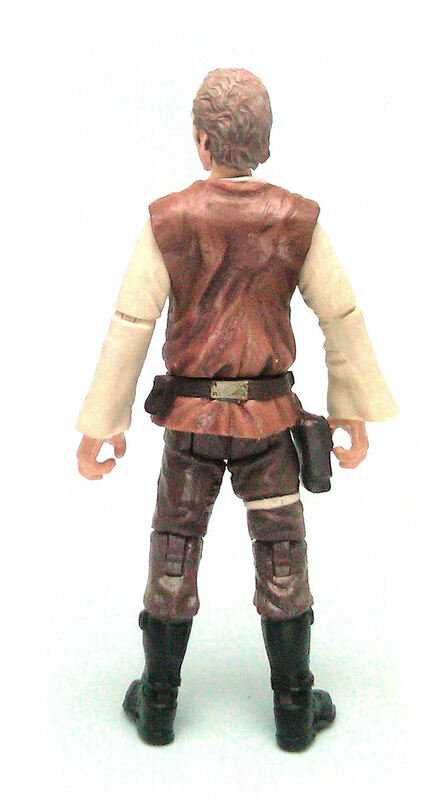 Although the rubber piece that simulates the lower edge of his tunic is relatively thin, it does get in the way of the hip joints a little because of the holster, but Dr. E can still sit on the cantina stools easily. The paintjob on Evazan is good, although a bit too subtle and perhaps also a bit too neat. 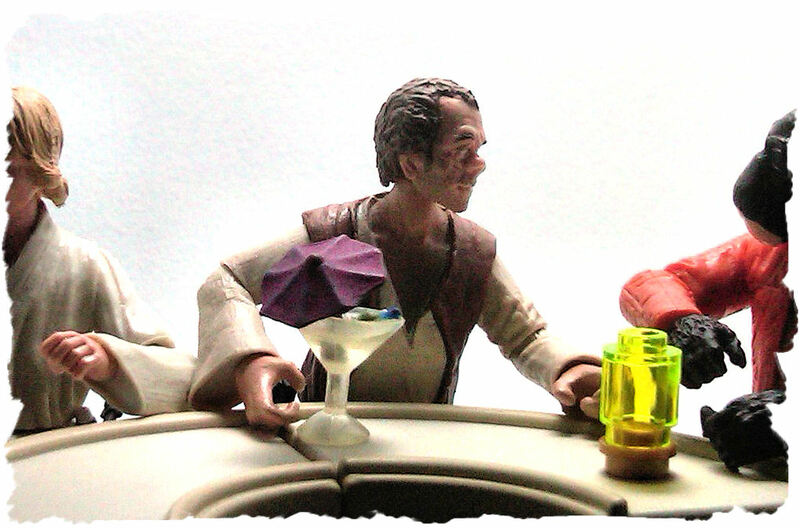 Under normal lighting conditions, it is easy to think that the figure could uses some more shading on the clothes, but I find that it looks just right among my other cantina patrons. 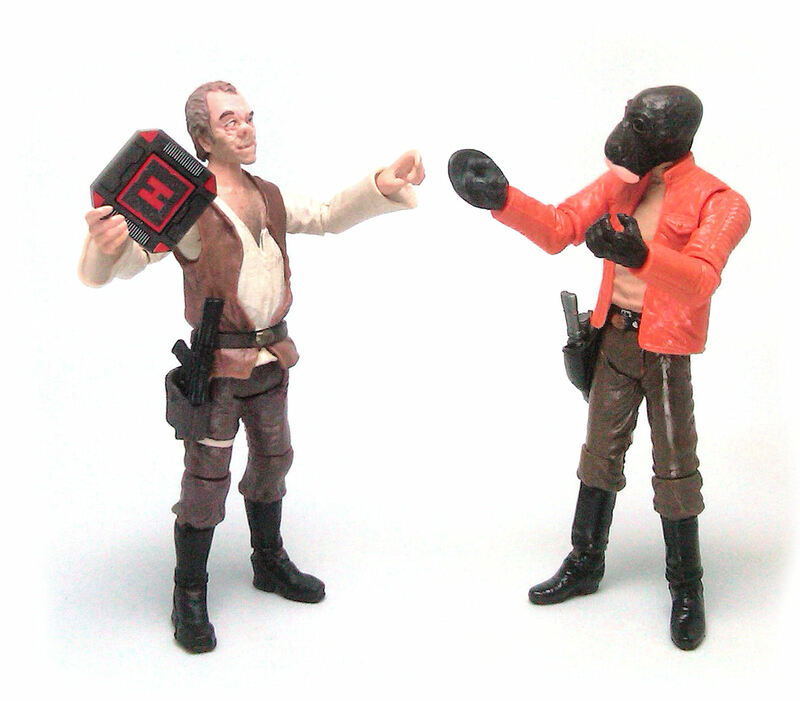 Dr. Evazan comes armed with the same blaster model as his pal Ponda Baba, only this time the weapon is made from black plastic with no decoration applied. So, while I still would not be writing fan fiction about the exploits of the not-so-good Doctor, I must say that this version of the character is definitely worth picking up.